Whether your ready to update to a new Buick Envision, a new GMC Terrain, one of the six Acadia trims available, or even a used car you can save with a trade in at Villa Park car dealers like Haggerty Buick GMC! 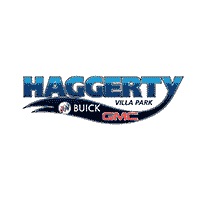 Using the vehicle trade-in value calculator at Haggerty Buick GMC, you can get a reliable estimate on your used car to get a clearer picture of your new car budget. This way you know what to look for when you arrive at our Villa Park Buick, GMC dealership. Enter in basic vehicle information, such as your make, model, VIN, and some other necessary fields and our Buick dealers friendly staff will be in touch with you to provide an estimate. Contact us to learn more about the trade-in process and how we determine your used car trade-in value. Otherwise, you can get right to determining your car’s trade-in value and explore our inventory of new Buick, GMC models for sale in Villa Park. Be sure to check out our incentive deals like our Buick Envision lease deals for extra savings!